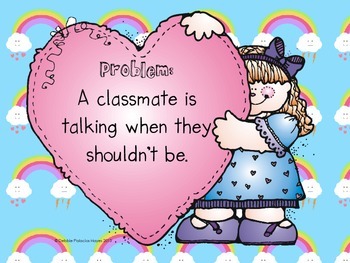 Do your students feel the need to tell you about every little problem they encounter? 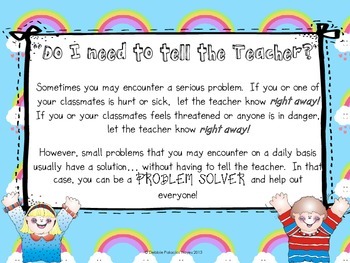 These class posters will help them be Problem Solvers! Included is a short description of when a problem does need teacher attention (sick or hurt, for instance) and then a list of common "problems" with accompanying solutions for when they can solve the problem themselves. - "Someone is in my seat!" - "I am finished! What do I do?" - "My classmate is bothering me"
and more. 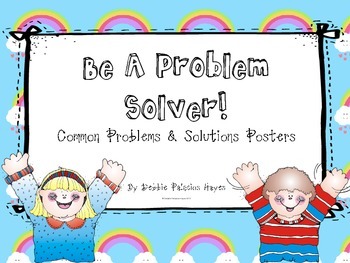 Also included are some blank "Problem" & "Solution" posters to fill in for additional class-specific problems you may have. Any questions or comments, please email me at palacios.hayes@gmail.com Enjoy!